Why has custom sauce pouching become so popular as a packaging solution for the food industry? Because of the many advantages that pouches enjoy when it comes to industrial scale food packaging. 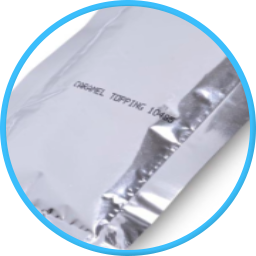 Custom sauce pouches afford your products a wide spectrum of protection, while not requiring much in the way of actual material. 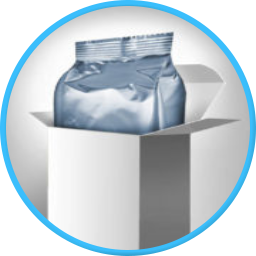 The flexibility of plastic, aluminum, and supportive materials means that there is no wasted space in your packaging. This packaging also extends the shelf life of your product. Pouching hugely reduces the weight of your finished product. This greatly shrinks transportation and freight costs. Pouches also represent great savings in storage space needed and easier handling of your products. The savings in fuel emissions gives custom sauce pouching a more positive environmental image. 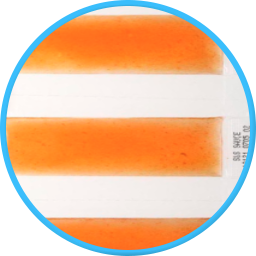 Conveniently add additional pouched components to give added value to your product offerings. We can deliver fill weights from 2 oz. to 10 oz. Our custom sauce pouches can feature pour spouts for efficient portion control. Tear notches make opening sauce pouches a simplicity. For additional convenience and ease of storage, we also feature bandolier style pouching. At Sokol Custom Foods, we offer a variety of back-of-house solutions to improve your bottom line. Pouches are available from 10 oz. to 8 lbs. with special tooling for angle cut pouches. Save on labor and scrap compared to tin cans. Our Flex-fill, servo-controlled vertical form-fill-and-seal pouching machinery is capable of producing pouches 2 oz to 5 lbs packed into corrugated cases or larger totes. No matter your packaging needs, we have the infrastructure and expertise to deliver. There are many benefits to your products being packaged in custom sauce pouches. With our equipment and expertise, we are well-positioned to leverage those advantages for your company. Tell us about your Custom Sauce Pouch needs!